Nigeria is capable of becoming Africa’s Petrochemical hub’ – Indorama MD Manish Mundra is the Managing Director/CEO of Indorama Eleme Petrochemicals Limited. Since he assumed duties nine years ago, he has built a strong brand, which has impacted significantly on Nigeria’s economy. In this. Prior to the buy over of Eleme Petrochemicals by Indorama in 2006, the company was almost moribund. How have you been able to take the petrochemicals plant to the level of profitability? Indorama Eleme Petrochemical Limited (IEPL), located in Port Harcourt, Rivers state, Nigeria, a member of Indorama Corporation, is a polyolefin producer of a range of polyethylene and Polypropylene products. IEPL was a 100 per cent subsidiary of Nigerian Government owned Nigerian National Petroleum Corporation (NNPC) with the name Eleme Petrochemicals Company Limited (EPCL). When the erstwhile EPCL was privatized, under the privatization programme, the Indorama Group emerged as the core investor and acquired the Unit in August 2006. Since then, IEPL has recorded several achievements of smooth & stable operations, enhanced production capacities, winning of several global awards & certifications and has become a successful model of the Nigeria‘s Privatization Program. To answer your question directly, I would say that we have done so much to turn around the fortunes of the company. This started with engaging highly qualified and experienced manpower; and massive turnaround maintenance (TAM), which we carried out immediately after taking over the plant. Since then, we have carried out three other TAMs in 2008, 2010 and 2013. This regular scheduled maintenance of the plants and facilities have kept them working optimally. Secondly, we rejuvenated and innovated the systems and procedures in all areas of our operations including engineering, production, services, marketing, environment, occupational health & safety, quality assurance & control, corporate communications, community engagement, among others. The result is amazing. 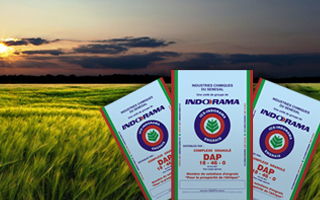 It is a thing of pride that Indorama Eleme Petrochemicals is producing high quality polymer resins (raw materials) for over 350 companies in Nigeria, thereby almost eliminating the importation of such essential industrial raw materials. It gives me tremendous joy that we are contributing to keep the Nigerian economy afloat especially at this very critical time. What would you say have been Indorama’s achievements or milestones since it acquired the company several years ago? As I have stated above, in the past nine years, we have recorded several achievements or milestones. I have already mentioned import substitution — that is, producing the raw materials that were hitherto imported into the country. I have also mentioned regular turnaround maintenance (TAM) of the plants in line with industry standards. I must tell you that through our exports, we have also put Nigeria on the petrochemicals map of the world and earned foreign exchange for the country. We have contributed significantly to the industrial development and economic growth of Nigeria. In 2012, we built and commissioned a new PET plant, the only one in sub-Saharan Africa. We also commenced construction of a new fertilizer plant in 2013; the plant is now ready for commissioning, alongside two other complementary projects – an 84-kilometre gas pipeline and a port terminal at Onne Port in Port Harcourt. These three projects were all completed on schedule. We have also helped to empower our host communities through various development projects and programmes. Beyond our regular corporate social responsibility (CSR) initiatives, it would interest you to know that our host communities own 7.5 per cent equity shares in the company and our employees own 2.5 per cent shares. Of course, you know that the Federal Government and the Rivers State government also own shares in the company. We have indeed created an excellent business model, public-private partnership (PPP), that works for all stakeholders. 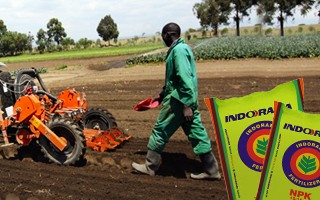 Indorama commenced the building of a fertilizer plant in Nigeria in 2013. What is the capacity of the project and when will it be completed? The fertilizer plant will be commissioned in March, this first quarter of 2016. It has capacity for 4,000 metric tons per day or 1.4 million metric tons per annum. It is indeed a brand new plant with state-of-the-art and world-class facilities and technology. It was built at the cost of 1.4 billion US Dollars, which is one of the highest Foreign Direct Investment (FDI) into the country. The money was mainly sourced from the International Finance Corporation (IFC) and some other national and international lenders. The fertilizer plant will boost the nation‘s agricultural sector; provide needed fertilizers for farmers across the country; improve crop yield; fight hunger and poverty; and create numerous employment opportunities in the country. 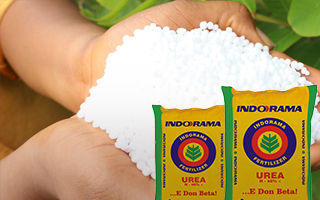 Besides, Indorama fertilizer will boost Nigeria‘s brand reputation as it puts the nation on the global fertilizer map as a producer and exporter of fertilizers. How much has Indorama invested in the company since 2006 and how much move do you intend to invest in the nearest future? Indorama Corporation has invested about $3.5 billion in Nigeria since we became core investors in Eleme Petrochemicals in 2006. I have mentioned some of our various projects. In the near future, we will also be investing in Methanol and NGL plants. And by 2019, we would have invested about a total of $4.7 billion to realize our vision of building the largest petrochemicals hub of Africa in Nigeria. Despite the presence of Indorama Eleme Petrochemicals in the country, some paints, plastics and foam manufacturers are still complaining about their inability to source raw materials in the country. When will the company be able to meet the local demand of raw materials from these industries? Majority of companies in the plastics, automobiles, bottling, beverages, paints, pharmaceuticals, foam, and allied industries in Nigeria have in the past eight years sourced almost all the raw materials for their products or packaging from Indorama Eleme Petrochemicals. This can be confirmed from such companies and the Raw Materials Research & Development Council of Nigeria. Our marketing policies and practices have been designed to meet the needs of the Nigerian market with warehouses in Lagos, Kano, Port Harcourt, etc. IEPL is strategically positioned to cater to the demands of the growing plastic processing downstream industries not only in Africa but in other parts of the world also. The state of the art gas feed Olefins plant and the downstream PE and PP plants supported by required facilities; the total production capacity is well over 335KT per annum. The company has positioned itself as one of the leading suppliers of Polyolefin in African continent and in US, Europe and Asia as well. Recognizing its outstanding contribution to the exports, the company was awarded, the prestigious Presidential Award for Exports by the Nigerian Export Promotion Council (NEPC) for the year 2011. One amongst the key factors that have enabled IEPL in its strategic positioning has been its continuous efforts at ensuring total customer satisfaction by supplying high-quality products consistently. Besides, the company‘s competitive pricing and technological capabilities to produce more than 35 customized grades of PE and PP, suiting to the specific requirements of the customers have given a competitive edge to IEPL.